It’s the kind of place I’d almost given up searching for. Palm trees waving in the wind, a deserted beach and just a few guests. Just the spot for our 10 year anniversary. Anniversary of our first official date, I should clarify. We’re here on the Caribbean coast of Panama at a place called The Coral Lodge and it’s truly a unique spot. 6 (soon to be 7) over the water bungalows that I thought you had to travel to somewhere like Tahiti to find. 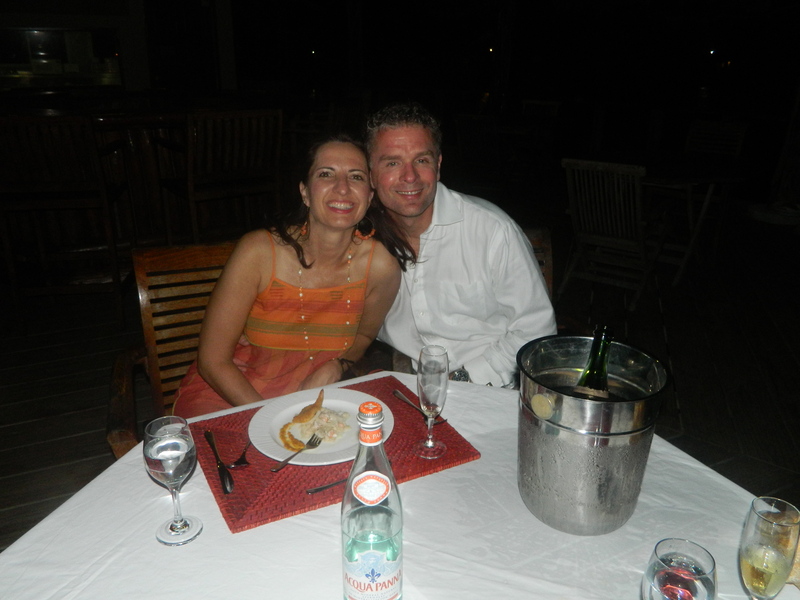 Our anniversary day was December 5 and Henry here at the Coral Lodge helped us celebrate it in style. For most of the day we had the place to ourselves as the other guests had departed the day prior and the new guests weren’t showing up until later in the day. Lazy swimming, lolling on the beach and enjoying Carlos’ amazing food is a perfect way to relax and reflect. Just before sunset Henry took us on a sunset boat cruise around a serene lagoon and told us a little bit about the lodge itself and the San Blas Islands at which we were at the edge. Champagne to toast with was of course part of the package. Following the cruise we were treated like royalty with a private dinner on the dock and more champagne. It’s going to be hard to top this one! I’m typically to blogging and i actually recognize your content. The article has really peaks my interest. I’m going to bookmark your web site and maintain checking for brand new information. My fiance and I are in our late 20’s and are looking for somewhere to spend our honeymoon. We can’t afford to pay to go to Tahiti, but really want an ocean bungalow. 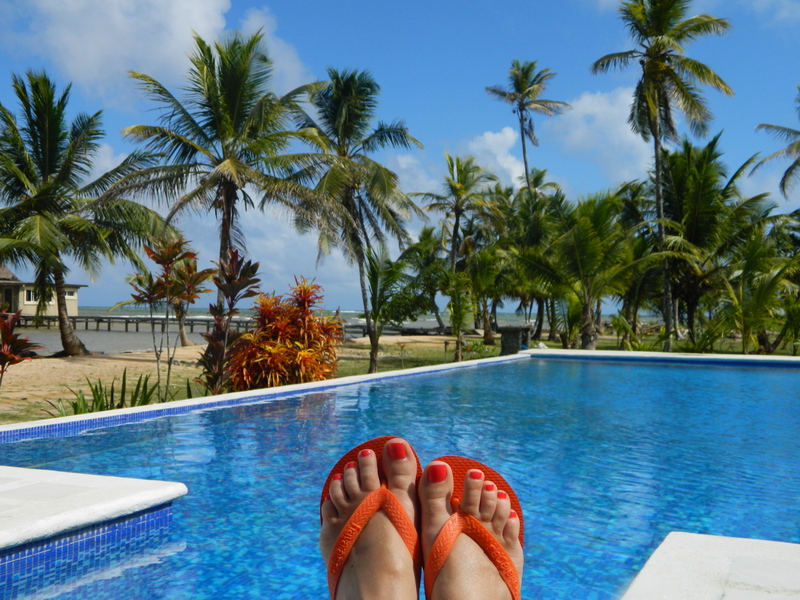 I found the The Coral Lodge In Panama’s website and my parents had fun when they visited their friends in Panama. We would like to have the option to relax, visit cultural areas, and do fun activities like kayaking, snorkeling or hiking. My fiance lived in Hawaii for five years and we currently live in San Diego, so sitting on the beach all day isn’t an option. Would you recommend the coral lodge to us? My husband and I had a fantastic 5 nights at the Coral Lodge. It’s probably the most romantic vacation we’ve ever had and, like you mention, it was always our dream to stay in an over-the-water bungalow but not have to fly to Tahiti to do it. The Lodge is completely isolated and that added to it’s appeal for us. 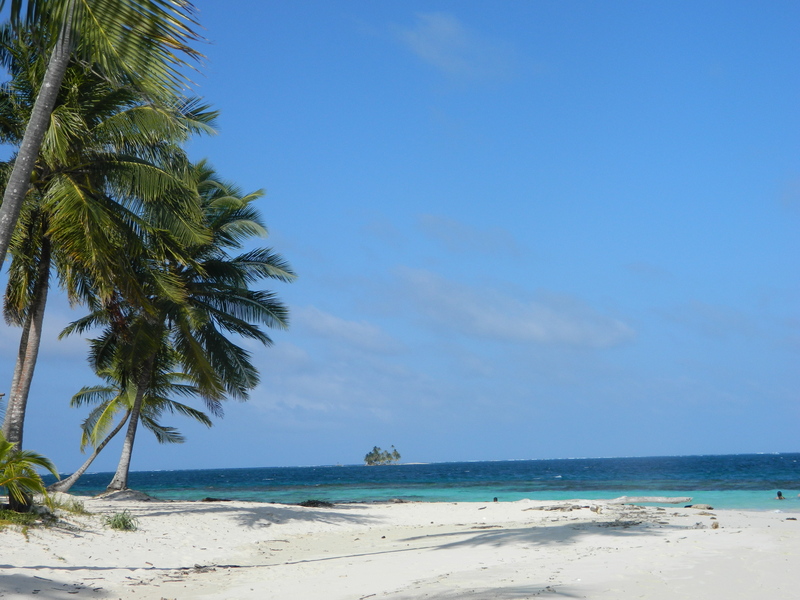 There were several options for activity; a day-long visit to several of the San Blas Islands, snorkeling, kayaking, jungle hiking, boat rides. 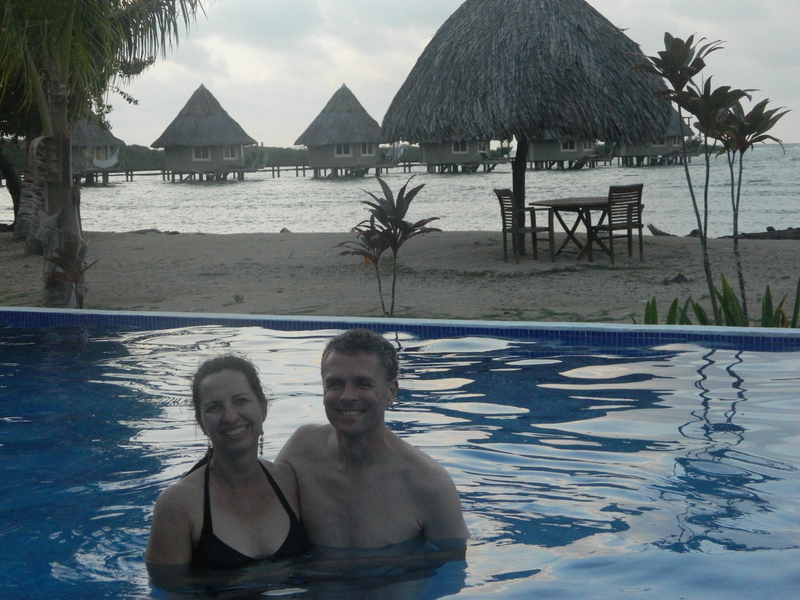 We did spend a lot of time just hanging out at the swimming pool or on the beach, but that was our preference. The staff is incomparable…we felt completely at home, but totally taken care of at the same time. In my opinion it would be a terrific honeymoon destination, but you might consider staying for 3 nights as you may be a bit stir-crazy after too much longer. I can’t say enough good things about how completely relaxing it is to look out the deck slider from your bed and see nothing but the waves and hear nothing but the sounds of the ocean. BTW, the food was amazing, especially considering the fact that the closest large city for supplies is several hours away. The time of year can make a big difference as to the weather conditions in this part of the world…when will your honeymoon be? Let me know if you’d like any more information or have any questions!